My husband runs his own graphic design/advertising agency by day. But by later-in-the-day, he's a picker. You've heard of a "picker," haven't you? A picker is a person who scrounges around old barns, yard sales, and junk piles to find unclaimed treasures to turn for a profit. To be honest, most of the stuff he brings home looks like it should be sitting under layers of trash at the town dump. A taxidermied weasel in a shadow box? Who's gonna buy that? I've had to bake many humble pies after not-so-subtly raising my eyebrows at a few of his picking finds that later sold for top dollar. (But, we can talk about all that later.) It seems there's no limit to the amount of odd and unbelievable things people will pay big cash money for when decorating their homes. The items aren't always displayed in houses, of course. He's sold his wares to collectors, commercial designers, and even Hollywood studios. A few years ago while preparing for an upcoming junk trunk show, he asked our daughter to help price and display items. One thing led to another and she ended up spending the entire weekend co-hosting his booth--refurbing, restoring, and repurposing. Needless to say, she caught the trash-to-treasure bug. Shortly after the show, she flipped several pieces of furniture for profit and asked if she could learn more about interior design. She had a growing desire to one day pursue a career in residential design and wanted to get some high school level exposure to the field. 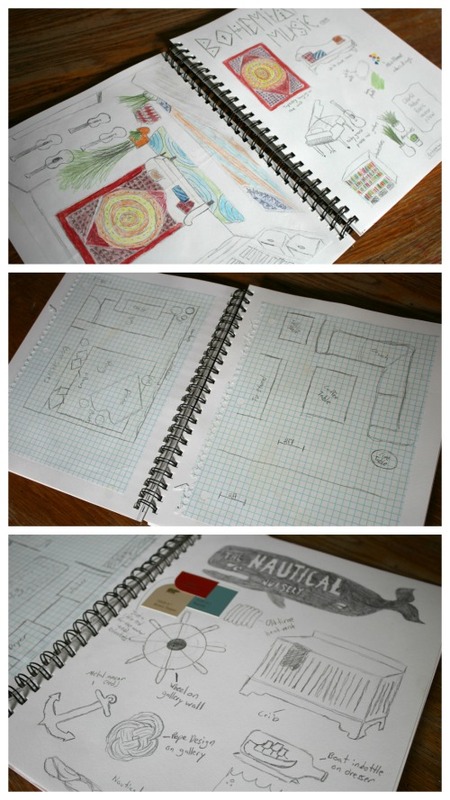 So, for her ninth-grade homeschool year, I put together a half-credit interior design course for her. Since I'm a firm believer in learning through real-life experiences, using real tools, and working with real mentors and experts, the class include more than just books and hypothetical situations. She practiced on paper first, but then she had to do the real work. Here's what the year-long program looked like. Interior Design Job Outlook- The Bureau of Labor Statistics is a wonderful resource for college/career bound kids. It provides a summary of nearly any job including the average salary, work hours, employment rate, and entry-level educational requirements. College Board Majors: Interior Design- This site details the classes and basic coursework that one can expect to complete for a particular field of study (Interior Design, in this case), as well as the pre-requisite classes one should take in high school in order to be fully prepared for college-level classes. College Board Listing- This site lists every college and university in the United States that offers an interior design degree, or any degree for that matter. 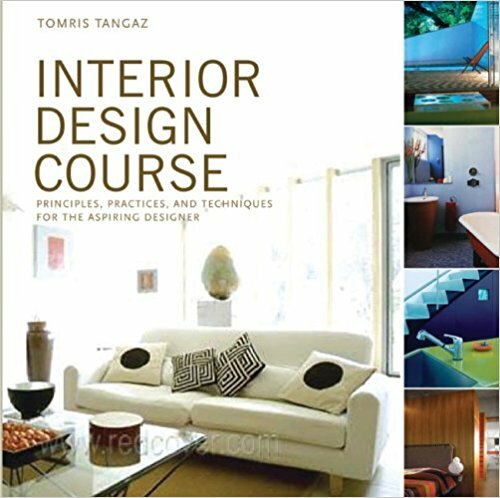 Interior Design Curriculum & Lapbook- This is a very basic workbook and lapbook curriculum that introduces foundational terms, design aesthetics and concepts, budgeting techniques, etc. Throughout the course, students read through the syllabus and then create a lapbook to display what they have learned. 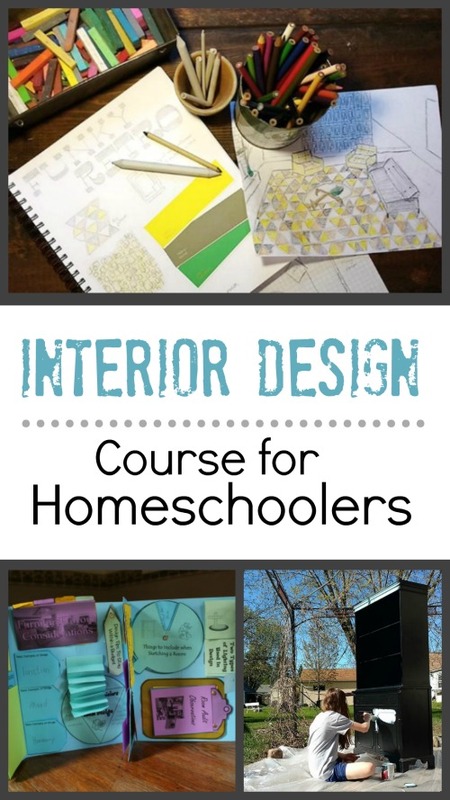 I had her start with this very simple homeschool unit study for the first few months of the school year so that she could get a general base of knowledge. Interior Design Course- This is a college level workbook that she read for reference and information only. I did not require her to do any of the challenges and assignments included in the book. "I'd like you to design a French Country style dining room. I prefer grey and purple hues. My great aunt gave me this beautiful pie cupboard that I'd like you to incorporate into the design. I do a lot of entertaining, so the table needs to seat a crowd. There's not a lot of natural light in that area of my house, but I'd like it to feel bright." Other times I just gave her a few keywords for inspiration. She had to refurbish/repurpose a piece of furniture and sell it for profit. She ended up tackling both a curio/dining hutch and an antique writing desk that she bought at a thrift shop for around $15 each. After investing in a few dollars' worth of paint and a couple hours of elbow grease, she ended up selling them both for over $100 a piece. 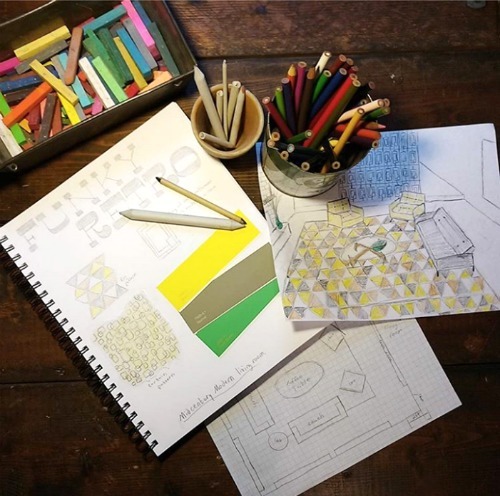 By year's end, she had put her design know-how into practice by collaborating with her dad to redesign both my kitchen and her brothers' shared bedroom. She not only drew up basic plans, but also did large portions of the work. Like most home renovations, the boys' room is still a work in progress and the kitchen, while complete, continues to be tweaked here and there. 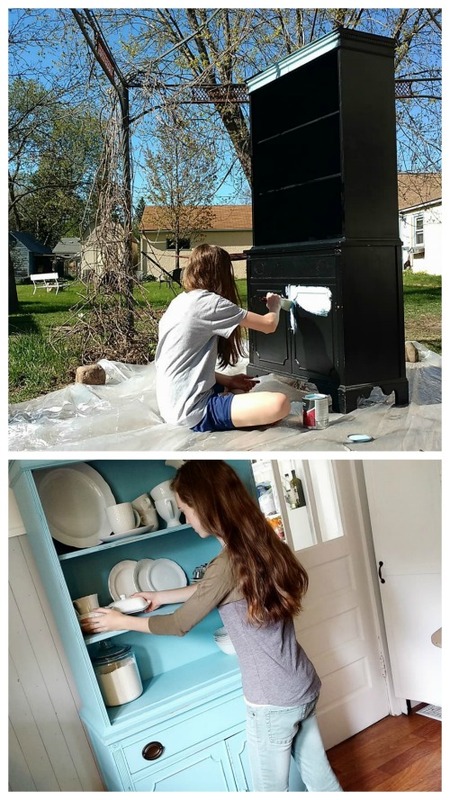 Interestingly enough, after a year of learning the ins and outs of interior design, my daughter determined that while she still enjoys flipping furniture and tackling weekend warrior projects around the house, she has no desire to make it her long-term profession. She can see interior design continuing to be a side-hustle and hobby, but not a job. This is amazing! I love that after all of that she decided it wasn't her long-term plan. My (homeschooled) nephew wanted to go into construction management (he loves working with his hands, being outside and moving), his parents encouraged him to get a job in the field. He worked for a great company through highschool and community college but decided building for fun was, well fun, but replacing roofs in 95* weather, not so fun. Plus being a manager means you don't usually get to do the hands on stuff. He's finishing up his degree as an engineer. 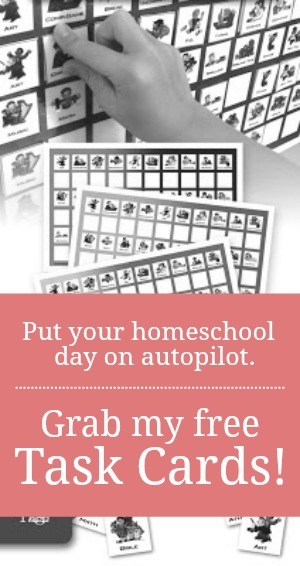 I love that homeschool affords the time to explore your interests! I actually wish I could've had exposure to many different fields of study when I was in high school. I often wonder if I would have gone a different route. I can guarantee you, if I had the opportunity like your child and my own to study what I want, my life would be 1000% different for sure :) I probably would have been an architect or engineer myself, but for now I have to settle for fulfilling that for my own child who is interested. Your daughter must have had such a good time. Thank you for sharing such a great article!! 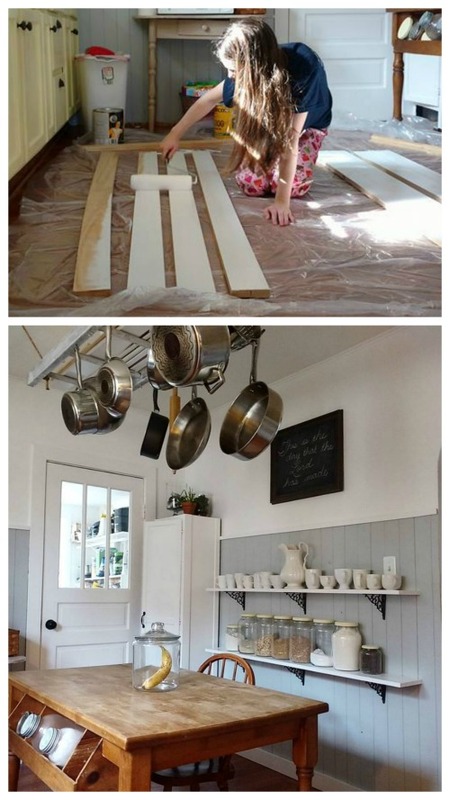 !c I want to start this interior designing course with my daughter. Can you share some more resource please?? Ashley, I shared all the resources we used. Art and architecture would make great courses. You could even combine the two at times and challenge her to paint/draw famous building throughout the world.